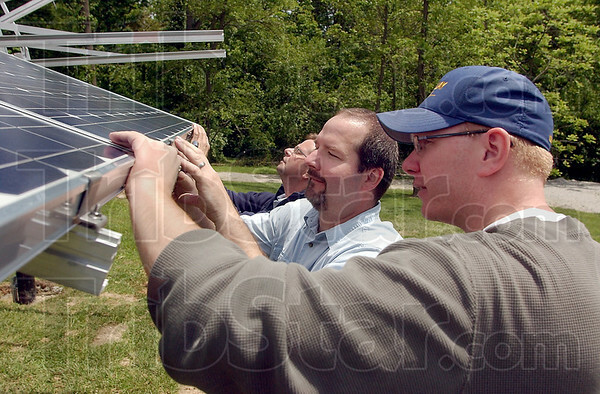 Setup: Setting up the new solar array at the IBEW hall at State Road 46 and Hulman are Charlie Nettles, Tom Szymanski and Brian Wood. The array and one twice as big near the hall itself were purchased through a grant from the Indiana Office of Energy Development. This one will power the electronic sign board, feeding leftover energy back into the Duke Energy grid.